The name is the result of the combination of the words "Pont" (bridge) and "Chianale"(back). Originally there were two major settlements: Bridge, named so for the presence of a bridge, the second Chianale, located in the valley. 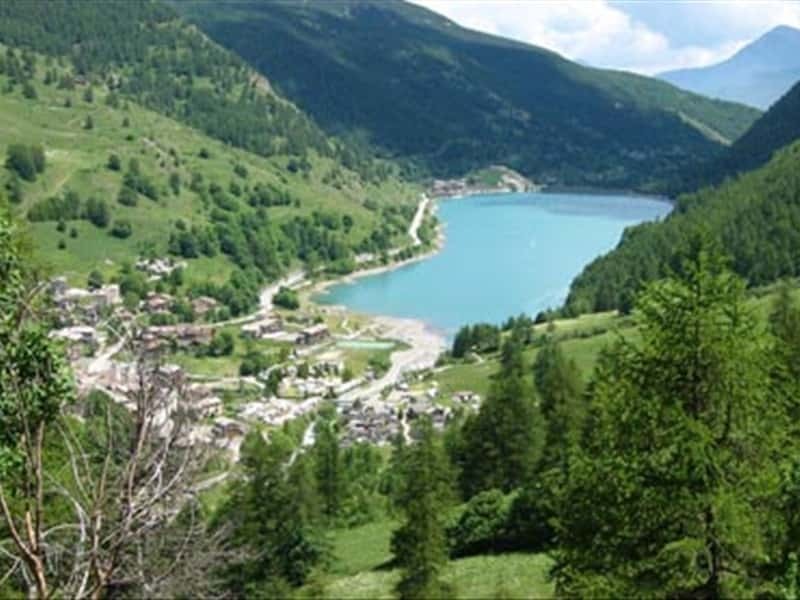 The present Municipality is the unification of a series of nearby villages and districts, located throughout the province of Cuneo in the Valley Varaita, which is also the departure point for trekking tours such as the Tour of Viso. In the area, surrounded by the Forest Alevè, there are four important mountain shelters connected to the valley by ski lifts. Since 1942 in the district of Castello, a dam was built to produce electricity, which has created an artificial lake, popular with tourists. To achieve this, the entire village of Church was demolished and rebuilt nearby. Today, when the water level drops, it is still possible to admire the remains of houses. It is likely that the first inhabitants of the Varaita valley were Ligurians (an ancient Italic population), reached some time later by the Gauls. Ariberto II, King of the Lombards, donated the territories of the Hautes Alpes and Val Varaita to the Pope. At a later date, the land were conquered by Charlemagne and then became part of the domain of the Counts of Austria. In the XIV century the territory was ceded by the Marquis of Saluzzo to the Dauphiné of Vienna of which the town shared the same history and fate. In the XVII century the valley was directly involved in a clash in which the troops of Piedmont defeated the French. With the Treaty of Utrecht, the higher area of the valley known as the Castellata, was ceded to the Savoy. - the Museum of Textile Crafts in the village of Chianale at the Capuchin convent. This town web page has been visited 13,794 times.